Check out this nicely detailed, Very early, original work by Milo Manara. 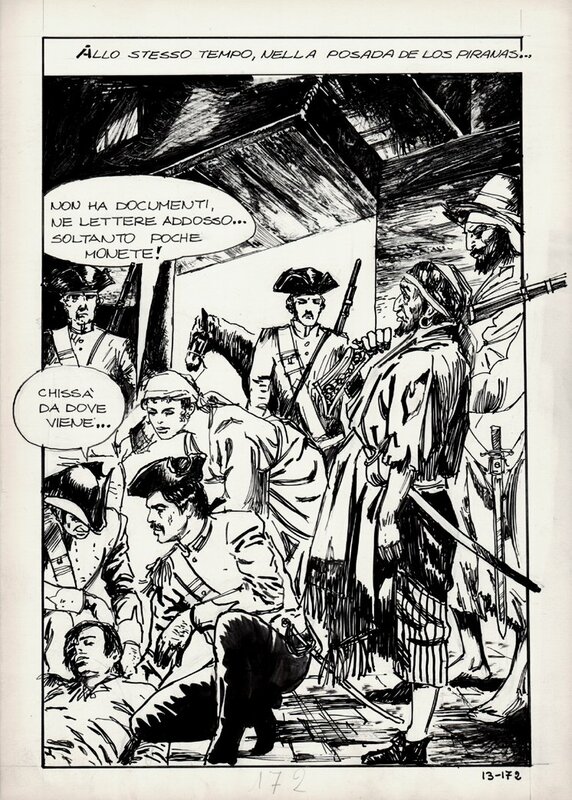 A beautiful, original page from the story Il Vascello Fantasma (the Ghost ship). Manara made this story before "Jolanda" and after "Genius". These stories came out in the 1970s as “pulp books/pockets”. Drawn by Milo Manara in 1970. Art is drawn on 9.75 by 13.75 inches. ALL art on our website (including this one) are able to be purchased with VERY fair time payments, and trades are always considered towards "ANY" art on our website! Just send us an email to mikeburkey@aol.com and we can try to work something out.